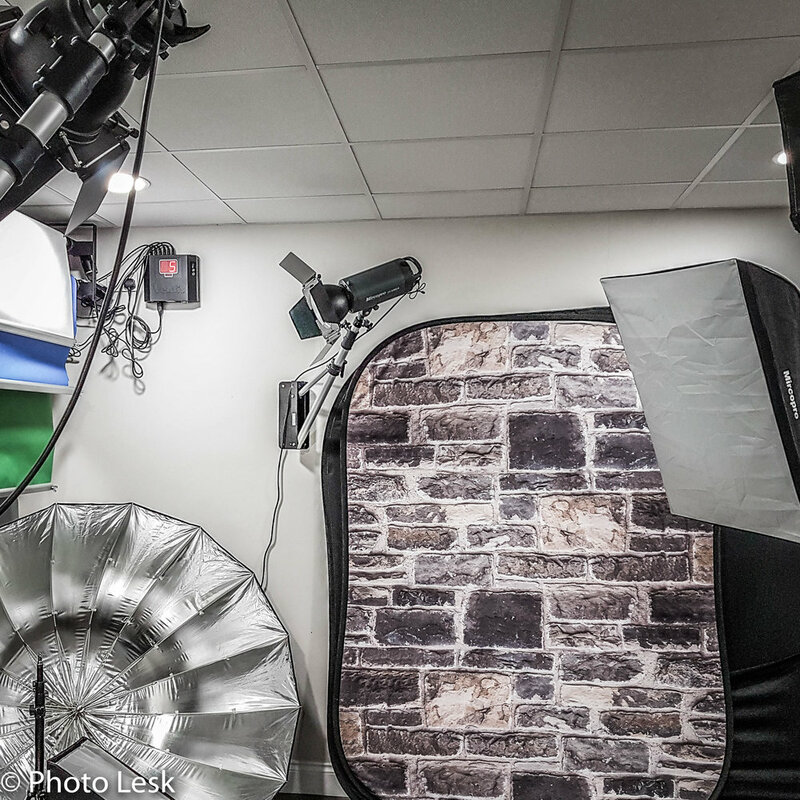 Our fully equipped studio is available per hour, half day or daily hire bookings at affordable rates. Included, is studio lighting equipment. 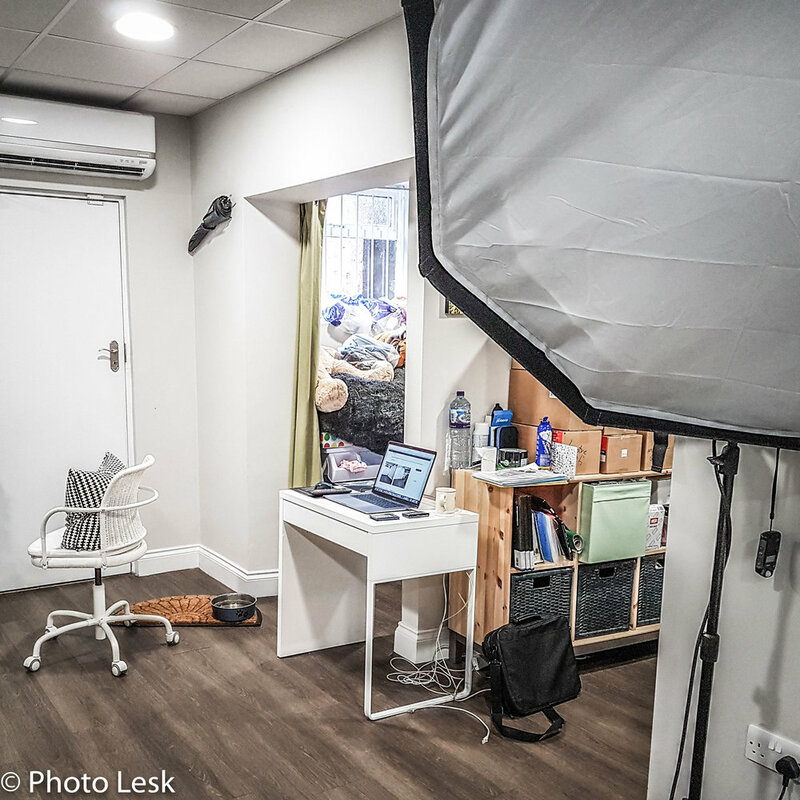 The studio is suitable for photography shoots, video and film shoots. We are ideally located in central Tiverton, Devon. Inclusive facilities for studio hire bookings include an Electric Background Roll System, a green screen, free super fast fibre WIFI Wireless Internet, kitchen facility with microwave, kettle and fridge, free tea, coffee and Biscuits, lounge/waiting area with sofa and wall mounted flat screen TV, air conditioning in the studio, make up/changing area with clothing rail & toilets. 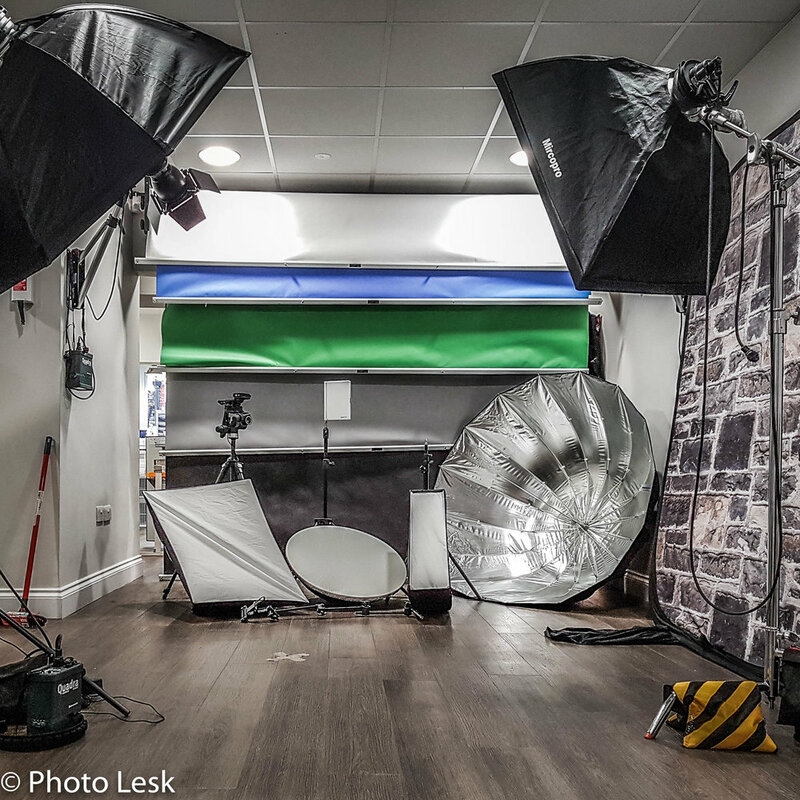 Every hire includes a full set of studio lights, light modifiers and accessories plus the use of our waiting room, Kitchen & Toilets . Special equipment is available for extra charge with advance request. For a full list of equipment please click the button below. Studio capacity is for up to 6 people total. For our full terms and contract please click the button below.